During a communion service at a village church, the teenage son of a vicar brutally attacks his father with an axe. The horrified congregation watch the son escape and during a frantic police search rumours arise that the boy was involved in devil worship. Professor Matt Hunter, an atheist ex-minister and expert on religion, is brought in to advise, yet he quickly suspects the church attack may have a far more complex cause. Meanwhile, a ten-year-old boy called Ever grows up in a small Christian cult. The group believe they are the only true humans left and that the world is filled with demons called Hollows, but they're working on a bizarre ritual that will bring peace and paradise to the world. Soon, the worlds of Matt and Ever will collide in one awful, terrifying night where Matt is thrown into the frightening and murderous world of religious mania. Severed is by Peter Laws. Murder at the British Museum is by Jim Eldridge. 1894. A well-respected academic is found dead in a gentlemen's convenience cubicle at the British Museum, the stall locked from the inside. Professor Lance Pickering had been due to give a talk promoting the museum's new `Age of King Arthur' exhibition when he was stabbed repeatedly in the chest. Having forged a strong reputation working alongside the inimitable Inspector Abberline on the Jack the Ripper case, Daniel Wilson is called in to solve the mystery of the locked cubicle murder, and he brings his expertise and archaeologist Abigail Fenton with him. But it isn't long before the museum becomes the site of another fatality and the pair face mounting pressure to deliver results. With enquiries compounded by persistent journalists, local vandals and a fanatical society, Wilson and Fenton face a race against time to salvage the reputation of the museum and catch a murderer desperate for revenge. Cambridge, 1940. It is the first winter of the war, and snow is falling. When an evacuee drowns in the river, his body swept away, Detective Inspector Eden Brooke sets out to investigate what seems to be a deliberate attack. The following night, a local electronics factory is attacked, and an Irish republican slogan is left at the scene. The IRA are campaigning to win freedom for Ulster, but why has Cambridge been chosen as a target? And when Brooke learns that the drowned boy was part of the close-knit local Irish Catholic community, he begins to question whether there may be a connection between the boy's death and the attack at the factory. As more riddles come to light, can Brooke solve the mystery before a second attack claims a famous victim? The Mathematical Bridge is by Jim Kelly. The Lost Shrine is by Nicola Ford. Clare Hills, archaeologist and sometime sleuth, is struggling to finance her recently established university research institute along with her long-time friend, Dr David Barbrook. When Professor Margaret Bockford finds the Hart Unit commercial work with a housing developer on a site in the Cotswolds, the pair are hardly in a position to refuse. There is just one slight catch: the previous site director, Beth Kinsella, was found hanged in a copse on-site, surrounded by mutilated wildlife. Despite initial misgivings, Clare leads a team to continue work on the dig, but with rumours about Beth's mental state and her claims that the site was historically significant refusing to be laid to rest, and lingering disquiet between local residents and the developers, progress is impeded at every turn. When one of the workers finds something unsettling, Clare suspects there may be more to Beth's claims than first thought. But can she uncover the truth before it is hidden forever? 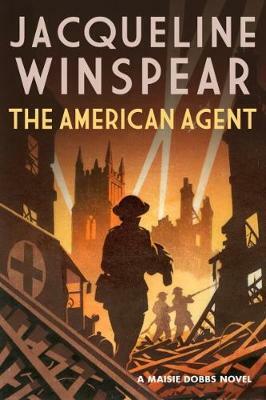 The American Agent is by Jacqueline Winspear. When Catherine Saxon, an American correspondent reporting on the war in Europe, is found murdered in her London digs, news of her death is concealed by British authorities. Serving as a linchpin between Scotland Yard and the Secret Service, Robert MacFarlane pays a visit to Maisie Dobbs, seeking her help. Accompanied by an agent from the US Department of Justice-Mark Scott, the American who helped Maisie escape Hitler's Munich in 1938-he asks Maisie to work with Scott to uncover the truth about Saxon's death. As the Germans unleash the full terror of their blitzkrieg upon the citizens of London, raining death and destruction from the skies, Maisie must balance the demands of solving this dangerous case with her need to protect the young evacuee she has grown to love. Entangled in an investigation linked to the power of wartime propaganda and American political intrigue being played out in Britain, Maisie will face losing her dearest friend-and the possibility that she might be falling in love again. Nothing Else Remains is by Robert Scragg. When Max Brennan's estranged father and then his own girlfriend go missing in quick succession, he turns to his old friend Detective Jake Porter for help. As Max is then attacked in his own home, Porter and his partner Nick Styles waste no time in investigating. But when their main suspect turns up dead, alongside a list of other targets, it seems the case is much bigger than it first appeared. With events spiraling, can Porter and Styles catch the killer before another victim is claimed? The Grasmere Grudge is by Rebecca Tope. Returning from a much-needed holiday, Persimmon `Simmy' Brown discovers that life in the Lake District is, as ever, far from relaxing. Before she can enjoy the idea of being the future Mrs Chris Henderson, her fiance discovers the body of his friend, antique dealer Jonathan Woolley, brutally strangled in a house in Grasmere. Enlisting the help of her friends and amateur detectives Ben and Bonnie, the investigation appears to ask more questions than it answers as historical grudges against the dead man are revealed. It seems that many people had a reason for wanting him dead. But with Chris's increasingly evasive and odd behaviour, Simmy begins to wonder if he is more involved in the murder than he is saying. How can she put her trust in a man with something to hide? York, 1907. Newly retired Inspector Faro is delighted at the prospect of staying in the Dower House, situated on a Roman villa once home to Emperor Severus. But he arrives to find his wife Imogen distraught and desperately searching for her missing Irish cousin, who seems to have vanished without a trace... 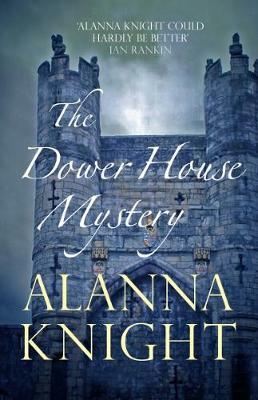 The Dower House Mystery is by Alanna Knight. Inheritance Tracks is by Catherine Aird. Four strangers arrive at the solicitors' office of Puckle, Puckle, and Nunnery. They have never met, and have no idea why they have been invited. But they - along with a missing man - are descendants of the late Algernon George Culver Mayton, the inventor of "Mayton's Marvellous Mixture" and each entitled to a portion of the Mayton Fortune. But before they can split the money, the missing man must be found. They begin their search, but then Detective Sloan receives a call that one of the legatees had died following an attack of food poisoning. 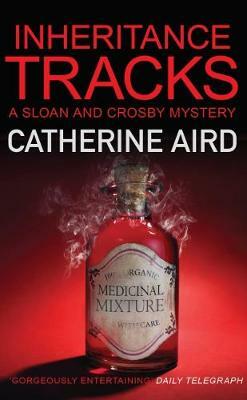 Now detectives Sloan and Crosby must determine whether the deceased merely ingested a noxious substance by accident, or if the legatees are being picked off one-by-one. And when matters of money and family rivalry are involved, there is almost certainly foul play afoot. It is the autumn of 1917, and at the luxurious Lotus Hotel in Chelsea, a maid is disrupted from her morning rounds by a horrifying discovery: instead of the dignified older lady who has been occupying a room, she find the dead body of a much younger woman. Harvey Marmion and Joe Keedy are dispatched from Scotland Yard to investigate, and learn that she seems to have been poisoned. But who is this woman? And what has happened to the previous occupant of the room? With a high profile client to impress, Marmion and Keedy must solve the mystery as quickly as possible, before the reputation of the hotel is damaged beyond repair. The Unseen Hand is by Edward Marston.